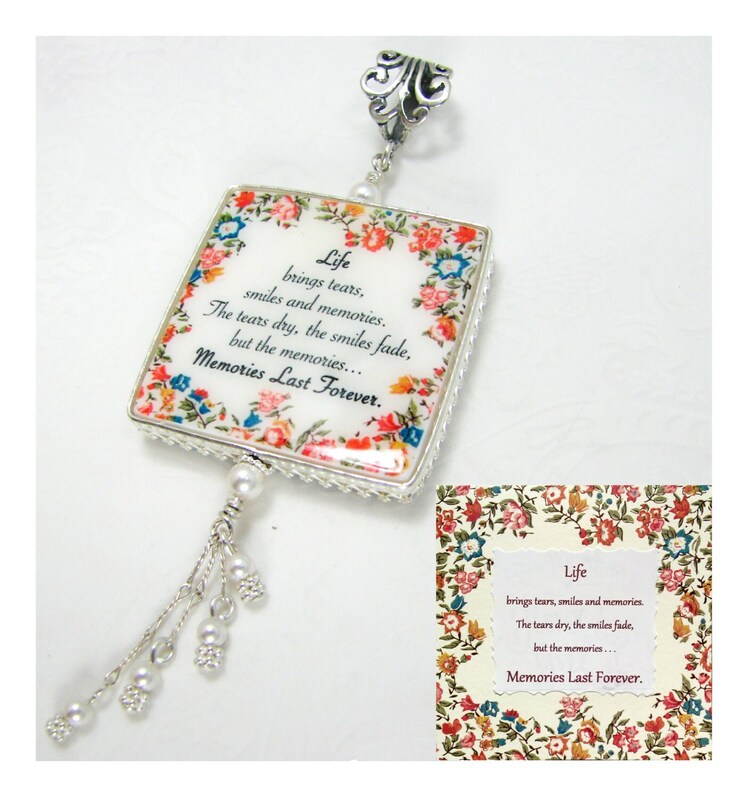 This beautiful bouquet charm measures 1.25" in size and doubles as a pendant. 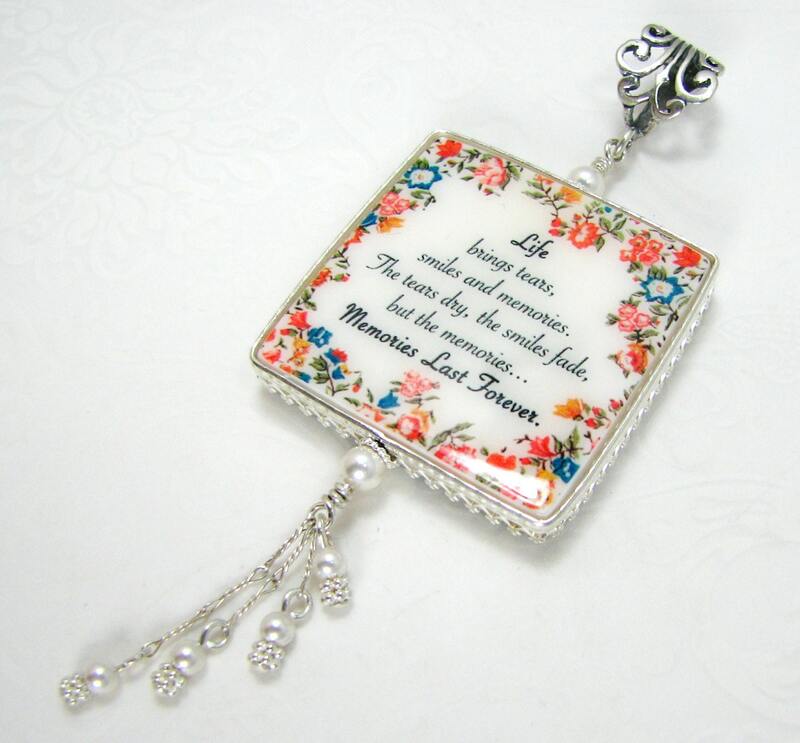 It is framed in this classic style, sterling frame and hangs from a intricate sterling Fancy Bail. 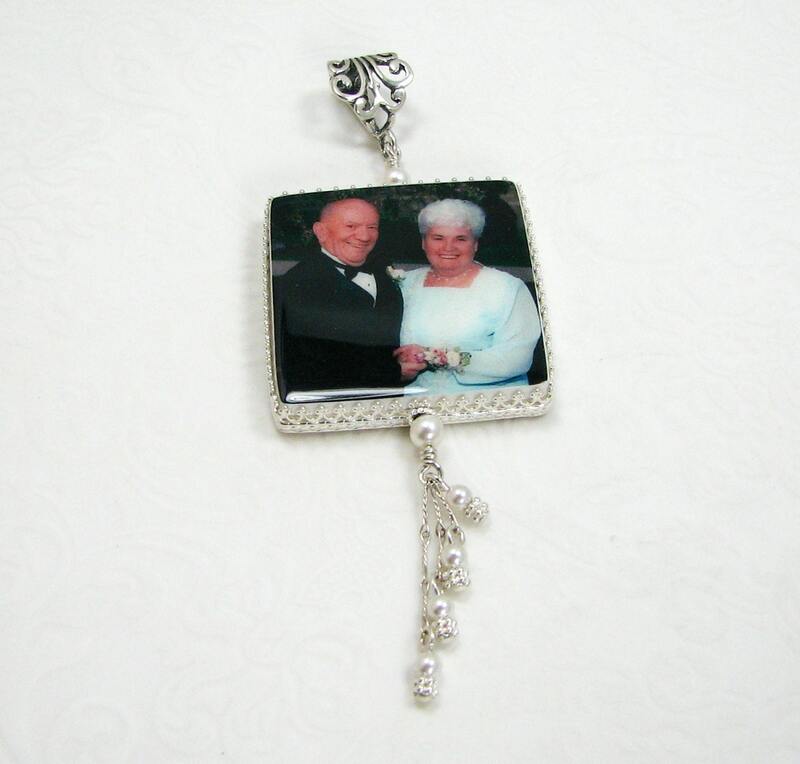 Choose your favorite style of Fancy bail here: https://www.etsy.com/listing/24766988/sterling-silver-fancy-bail-upgrade-for. 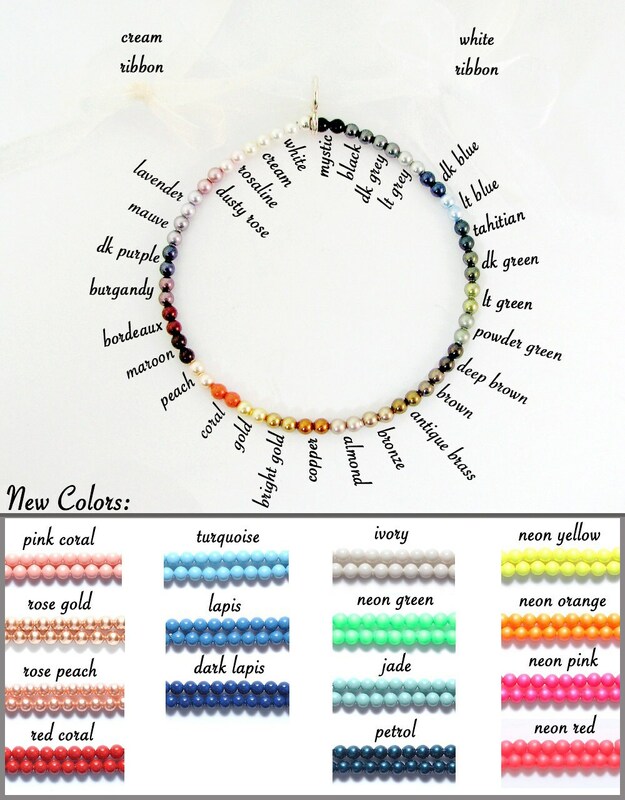 You can choose Swarovski crystal pearl colors that best match your images. Just email your color preference with your images. Do you have a message, or a note you would like to use in place of an image? 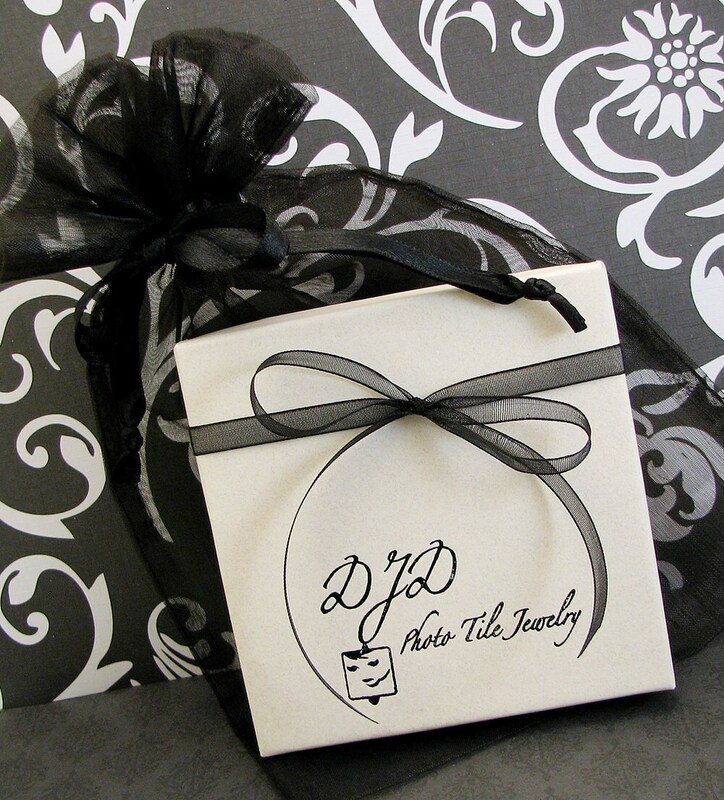 Simply request a custom text image, or photograph your note (card, letter, signature). If you can photograph it I can bake it into a tile for you.